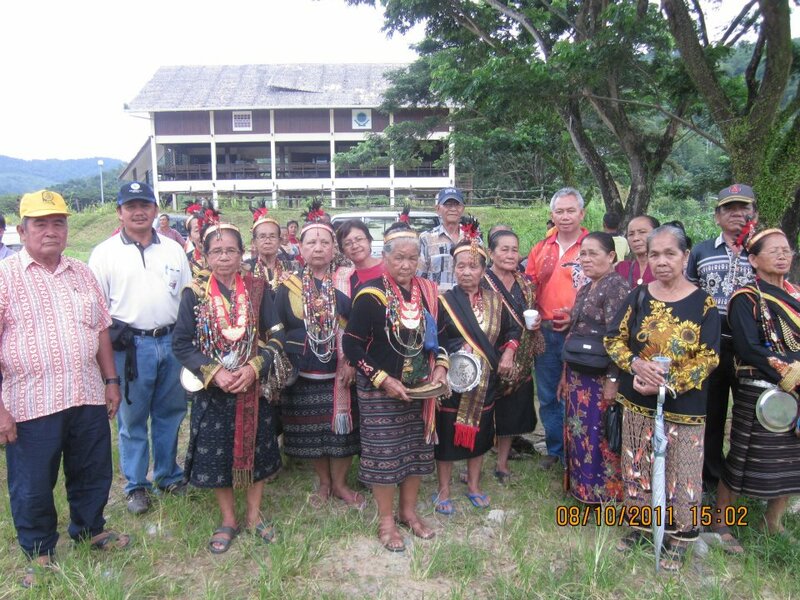 Dusun Lotud is one of the local tribe in Tamparuli Sabah. Actually the word tribe is not suitable but I can't find the right word for describing this people. Mainly the Lotuds live in District of Tuaran and most of them live around Tamparuli area. I have a lot of friend from Dusun Lotud origin. They are really friendly and kind. Some of them might have attitude problem but only a small portion of them. The Dusun people come with many different types of origin such as Dusun Darat, Dusun Lotud, Dusun Liwan, Dusun Tindal, Kimaragang and many more. If the Dusuns only stand for one citation it might not confusing other people. There will be only Dusun People and nor Dusun Lotud, Dusun Kimaragang and so forth. Dusun Lotud have many traditional heritage and I really enjoying them wearing their Traditional Costumes. if you want to see them wearing their traditional costume, you can visit Tamparuli during Pesta Kaamatan or Harvest Festival and Bamboo Music Festival. This two festival is celebrate yearly on the May. I like to take picture of this people but for the time being I cannot do that. Busy with works keep me from doing that. i have through the net and found something that really boost me up to write about this people. I have copy paste some of the article for you to reads and some picture to share with you to make a clear view about this people. My hobby is to write a simple article, blogging and reading. Sorry if i'm not using appropriate words because my English is not good enough to become a good writer but I'm trying to make it better and better and I really need your comments to drive me up for the good of Tamparuli Sabah website. Thanks for reading and till then Happy Weekends. 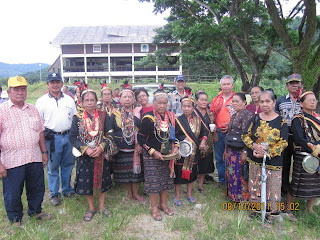 Old Folk wearing Traditional Costume for the Lotud People in Tamparuli. A Lady wearing Lotud Traditional Costume. Expanded Text source: Copyright © Andreas Alex - Malay Customs and Taboos. Used with permission. The Kadazandusun were traditionally animists but have been influenced by both Christianity and Islam. Many of those that the government counts as Christians come from a church tradition where any child that is born into a family that calls itself Christian is also considered to be Christian. Those holding to traditional religion today believe in a spirit world that is especially important in the cycle of rice cultivation as well as major events in the cycle of life. Although believing in a supreme being who created verything, they also attribute spirits to many things in nature such as birds, animals, and plants.